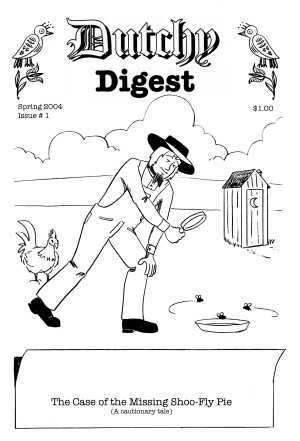 Dutchy Digest #1 featuring "The Case of the Missing Shoe-Fly Pies" starring the Pennsylvania Dutch Detective, Amos Dingledorffer, and his blood hound rooster, Duke. 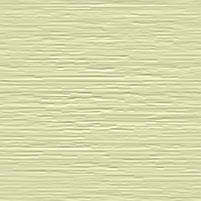 12 pages printed on premium paper. 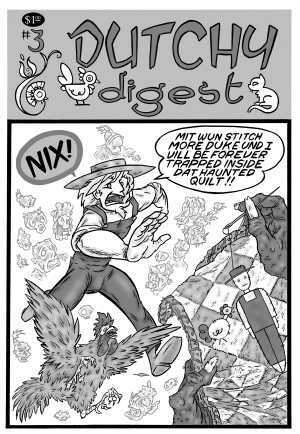 Dutchy Digest Issue #2 featuring a 9 page Amos Dingledorffer mystery story called, "The Trojan Hay Bale," a 4 page story called, "Tales of Poppa," and a new feature, "Ferhoodled Funnies" with art by a guest artist. 16 pages. Dutchy Digest #2 - Cost is $1 plus $1 postage. 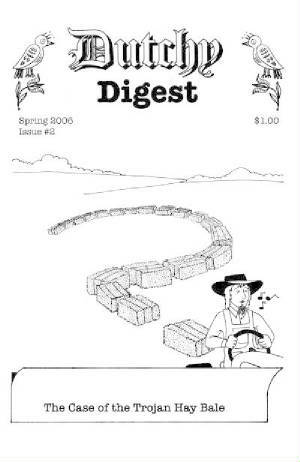 Dutchy Digest #1 - Cost is $1 plus $1 postage.